They call it Gridlocking—maglev-bike races across the Fuse’s vast solar arrays. Fast, dangerous, and very illegal. When a gridlocker turns up dead, Klem and Ralph begin their own race to catch a killer. "Reader response to The Fuse has been amazing, especially to our unique grumpy old female detective, Klem,” said Johnston. “Now in 'Gridlock' we're turning up the sci-fi, and delving deep into the seedy underbelly of this run-down space station. Justin is doing the best work of his career, and I can't wait for readers to see it." THE FUSE #7 will be available on 11/5 and can be pre-ordered with Diamond Code SEP140719. Cover B will feature artwork by Jenny Frison and can be pre-ordered using Diamond Code SEP140720. 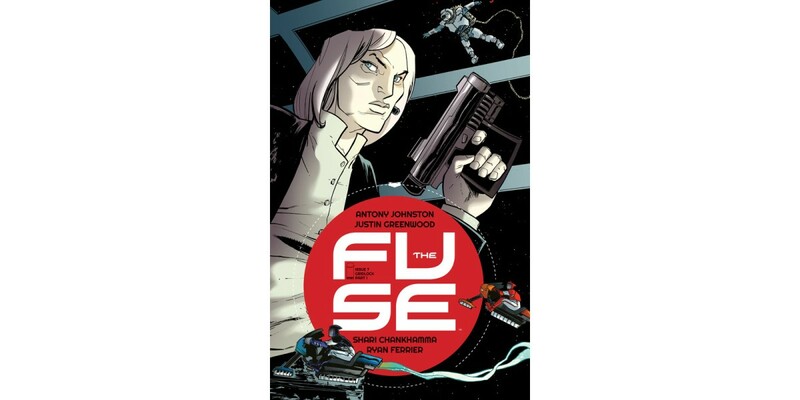 Johnston will be signing at the Forbidden Planet Megastore in London, England on 8/30 from 3-4 p.m. to celebrate the launch of the trade paperback of THE FUSE, which collects issues #1-6. THE FUSE, VOL. 1 will be available on 8/27 for $9.99 and can be ordered with Diamond Code JUN140504.